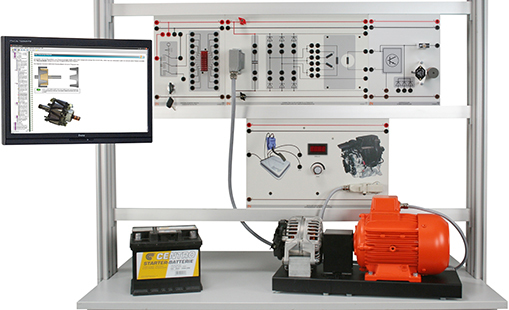 This training system enables the trainees to become familiar with the function of the hybrid controller. Experiments are conducted and observations made as to how the hybrid controller maintains the generator voltage at a certain level, regardless of speed and load. The role of the average excitation current is explored as well as how changes are brought about in the magnetic field and stator winding induction. The trainees thereby learn independently and can monitor their knowledge in exercises and tests.